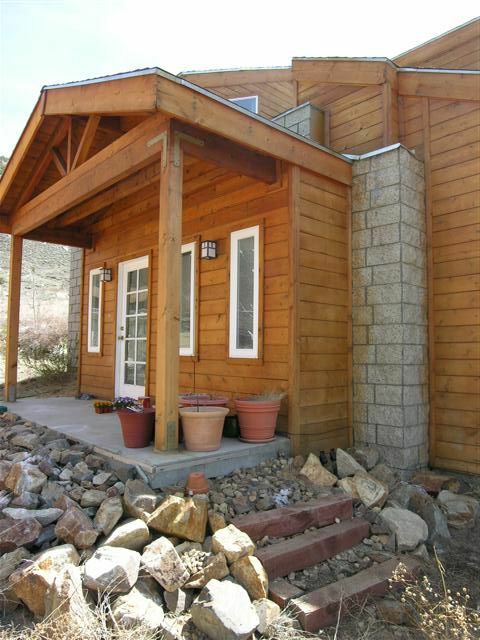 Enjoy this beautifully designed home in the mountains! With an observation deck plus a balcony off the master bedroom you'll enjoy the majestic views. Loft-style master bedroom is very spacious and has a walk-in closet. Built in 2004 this home is energy efficient and modern. Single car garage plus a hobby or workout room and an office area. Easy care, natural landscaping allows you to relax and have fun! Located in an Inyo County designated snow avalanche hazard area this home's design is avalanche resistant. Aspendell is a beautiful small community tucked back in the Sierra Nevada Mountains. About 10 miles west of Bishop, it’s a great place that gives you space and able to escape from the city hustle. Just east of Lake Sabrina and North from South Lake with streams and ponds in between this is a great place for the outdoorsman in you. There are a variety of trails that go deeper and higher in the mountains that will let you explore some of the more remote yet breathtaking trails, streams and lakes. If you want to stay home and away from the heat you can cool off with your toes in the stream in the shade of the quaking Aspen trees.